The Christmas Mandalas Adult Coloring Book features 31 original and unique festive designs for you to add your own inspirations, and experience the joy and blessings of the Christmas season. 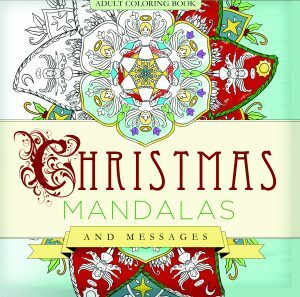 31 original hand-drawn Christmas designs for coloring: 16 Mandalas and 15 beautifully detailed seasonal messages. Enjoy hours of stress relief and creative expression. Gift your completed artworks, or frame them for your own pleasure. Perfect for Christmas gift giving.